PJ was initially campaign by my friend Mrs Simone Knight, then after a change of circumstances he came home to live with me. He was a Multi class In group and In Show Winner at All Breeds and Specialty Shows. He won under Local, Interstate, Overseas and Breed Specialist Judges. 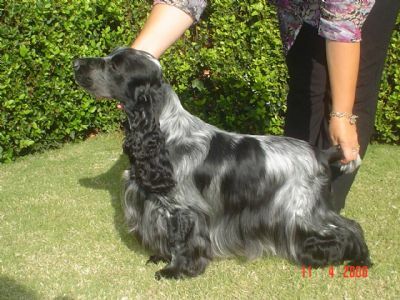 PJ was the Winner of "Puppy of The Year 2005" for The Cocker Spaniel Society of NSW Inc.